Welcome to Peak Finish, a high-quality metal finishing company in Utah committed to delivering reliable services. 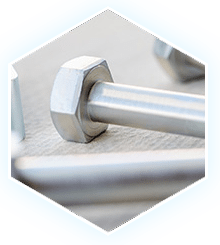 We offer metal finishing work for products that require additional corrosion protection, increased hardness, improved lubricity, and enhanced aesthetics. 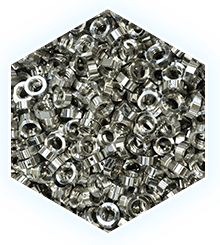 Our range of services includes nickel plating, electroless nickel plating, type II anodization, stainless steel passivation, gold plating, and more. For years, our goal has always been to provide agencies, manufacturers, and businesses with an unparalleled level of service and dependability. Whether the product is being used for power generation or launched into space, we will make sure it stands the test of time. Quality is our first priority. We provide outstanding finishes that add appeal and longevity to our customers’ parts. Our exceptional customer service is marked by approachability, friendliness, and thorough information gathering—we try to be an extension of our customers. Our metal finishing company is a team of highly trained and motivated individuals who continuously train and educate themselves to promote an environment of personal growth, health, safety, creativity, and teamwork. We aim to improve our efficiency and cleanliness by applying the scientific method in everything we do. Have a question? Ask us today. Chances are we’ll have the answer, and if not we’ll find out through our vast network of vendors, consultants, and other professionals. Also, if you have any questions or concerns regarding our metal finishing services, send us a message or call us today. Peak Finishing is ready to meet your needs. All our processes require proper cleaning before treatment. That’s why we use proper techniques to remove oil, dirt, and coolants as well as scales and oxides from the surface. © 2015 Cache Valley Plating, LLC. All Rights Reserved.